The database can target individuals in their homes. Specifically it can target the home address of young people of any age. The database is compiled by individuals completing either a product registration questionnaire when purchasing products from major household name companies or via a national shoppers survey (3 times a year). There are some 17 million names registered on the database. The data is continually updated. Any record that has been on the database for a period of 2 years and has not been updated, will be automatically removed. We guarantee that no more than 5% of any order will be ‘gone aways’. This figure is typically 2-3%. The data has proved successful for many colleges, universities and private schools in promoting open days and special events. All data is screened against the Mailing Preference Service (MPS) and the Telephone Preference Service (TPS), Postal Address Files, Mortascreen and the Bereavement Register, to name but a few, to ensure that no individuals who are registered on these lists are included in the data available. As well as the parent’s of young people there is an ever growing need for the education sector to engage with businesses in a variety of ways in order to promote relevant courses. We only deal with the highest quality business data available. Whether you wish to target 300 or even up to 3 million businesses! We can supply data in three ways via email, which is the quickest and cheapest option, on disk or on self adhesive labels. Data via email or disk comes in an Excel CSV format, which means you can pull the data into any software package you are using to create personalised letters and flyers. Data can be supplied via email within 48 hours, so we can even deal with those last minute mailings. 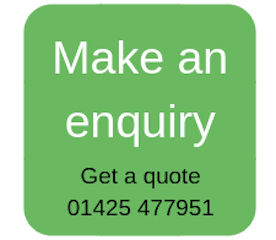 We will then provide you with a quotation detailing how many people we can target matching your criteria and how much it will cost to purchase the data.